Although significant energy is consumed during industrial operations, a huge amount of this energy evaporates as waste heat after use. The thermal energy storage from EnergyNest ensures that this untapped energy reserve can be converted in an efficient manner. After being stored, the time-shifted waste heat can be used in different ways - e.g. to provide process steam in order to stabilize power grids entirely or to generate self power. While the storage system has an increasing number of advantages, one major advantage is its potential to significantly increase resource efficiency, resulting in eco-friendly industrial operations. Industrial retrofits result in efficient energy balance, and they are economically attractive due to their short project paybacks. HEATCRETE® is one element that is part of the new technical solution. It is a high-performance concrete, which consists of 25% additives and 75% quartz aggregates. HEATCRETE®-embedded carbon steel pipes are enclosed by a steel carrier structure. A heat transfer fluid charges and discharges the storage system through these pipes at a pressure of up to 160 bar. A single module that is capable of fitting inside a conventional 40-foot container is capable of producing energy capacity of up to 2 MW hours thermal. The modular structure of the system allows to it to be scaled up into the GW hour range. The energy storage costs around 20-25 dollars per kilowatt hours which is just a fraction of battery costs and is way more inexpensive when compared to other storage systems. 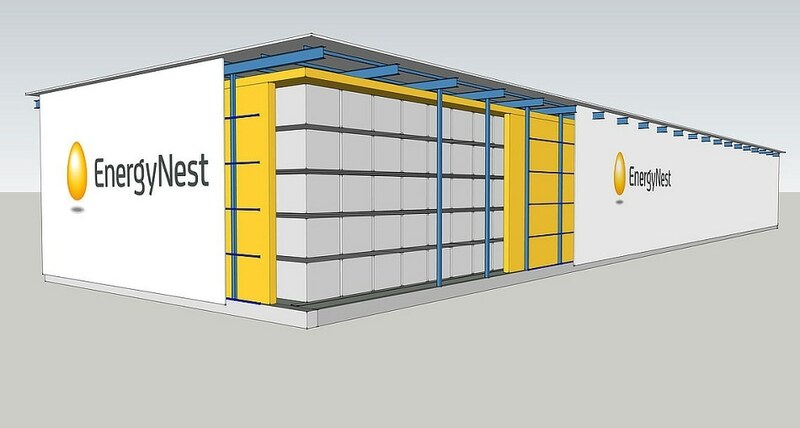 The storage system is maintenance free because of its immobile parts and rigid structure, and hence the operating costs are a fifth of what is required by other storage systems. The system has the potential to generate own power using time shifted waste heat. With the help of their own waste-heat-to-power implementation companies can avoid peak price tariffs.